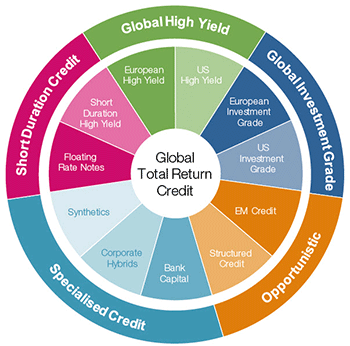 The fund aims to provide attractive total returns by investing in a portfolio of credit opportunities across a broad diversified global universe. 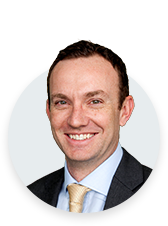 It could be ideal as a complement to an existing strategic bond fund holding or as an alternative source of income. Target: In excess of 3 month GBP LIBOR + 4%p.a. (gross). 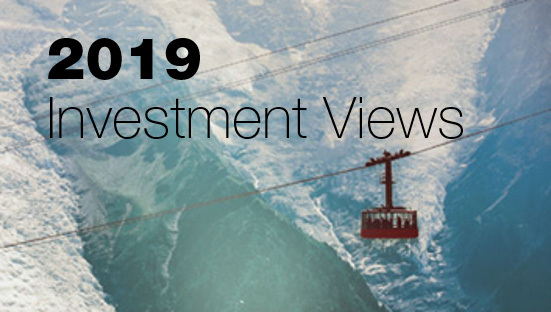 In our 2019 Investment Views, Jeff Boswell and Garland Hansmann look ahead to a year where tailwinds are turning to headwinds. 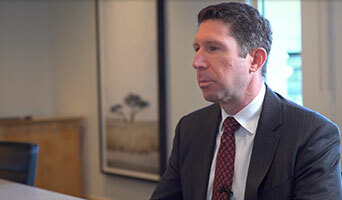 Watch Portfolio Manager Jeff Boswell explain his investment approach to unconstrained credit. The value of investments, and any income generated from them, can fall as well as rise. **Where charges are taken from capital, this may constrain future growth. Investment objectives and performance targets which is through the credit cycle, and the expected volatility may not necessarily be achieved, losses may be made. Subject to change. Default: There is a risk that the issuers of fixed income investments (e.g. bonds) may not be able to meet interest payments nor repay the money they have borrowed. The worse the credit quality of the issuer, the greater the risk of default and therefore investment loss. Derivatives: The use of derivatives may increase overall risk by magnifying the effect of both gains and losses leading to large changes in value and potentially large financial loss. A counterparty to a derivative transaction may fail to meet its obligations which may also lead to a financial loss. 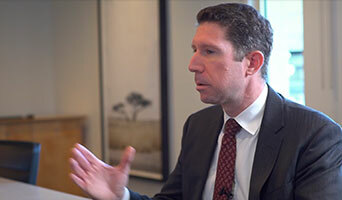 Interest rate: The value of fixed income investments (e.g. bonds) tends to decrease when interest rates rise. Liquidity: There may be insufficient buyers or sellers of particular investments giving rise to delays in trading and being able to make settlements, and/or large fluctuations in value. This may lead to larger financial losses than might be anticipated. ^Based on Luxembourg domiciled sister fund. 1Best Ideas’ represents our highest conviction ideas following an analysis of fundamentals, valuation and market price behaviour. **The yield reflects the amount that may be distributed over the next 12 months as a percentage of the Fund’s net asset value per share, as at the date shown, based on a snapshot of the portfolio on that day. Where there is a yield number in brackets, it is calculated in the same way, however, as the charges of the share class are deducted from capital rather than income, it shows the level of yield had these charges been deducted from income. This has the effect of increasing the income payable whilst reducing capital to an equivalent extent. 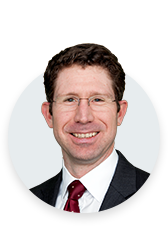 Yields do not include any preliminary charge and investors may be subject to tax on their distributions.